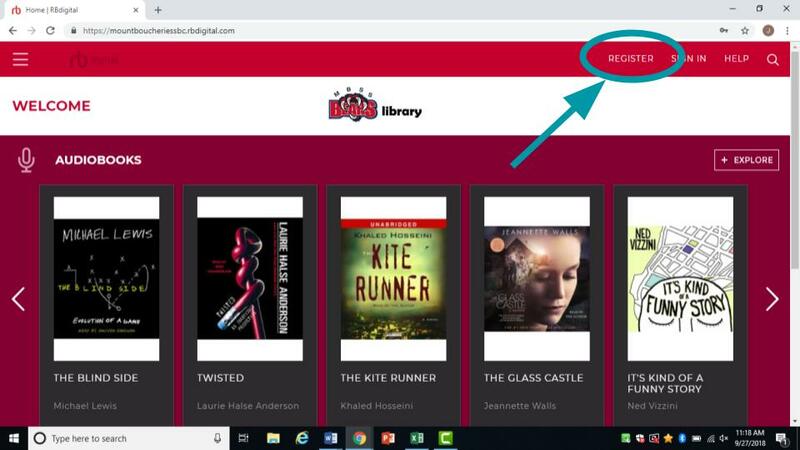 RB digital is an awesome resource that allows access to audio books and eBooks. 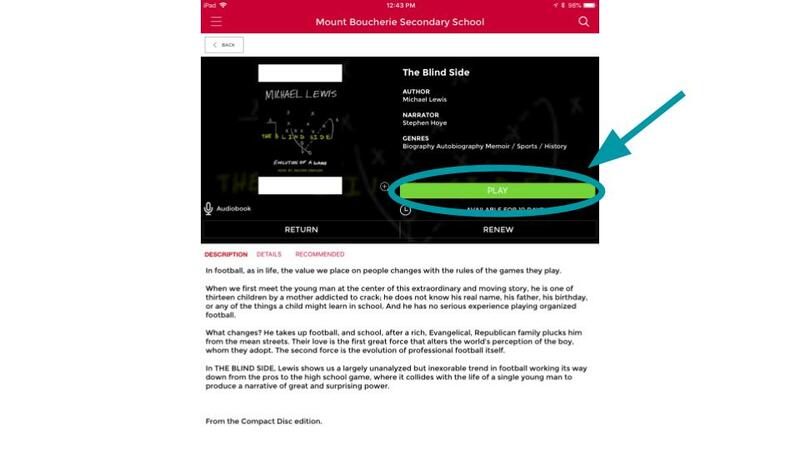 Through a web browser, or the RB digital app, users can sign out audio books for up to 10 days. 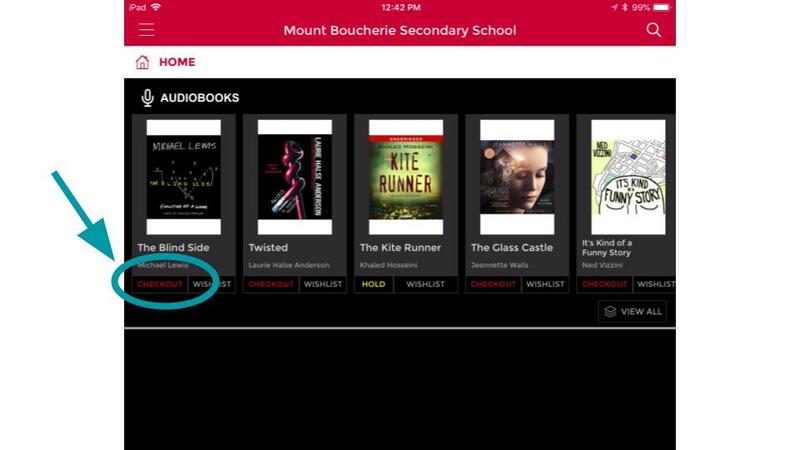 Just like a physical library book, RB digital audio books must be returned before others can use them. If you are not listening to your book, make sure it is returned so that others can listen to it. Download the RB digital app from the Apple App Store, or Google Play store. RB digital is also available through any web browser. You must visit ​https://mountboucheriessbc.rbdigital.com/ to sign up for your ID. Going to rbdigital.com will not work. 1) Select the "register" button in the top right hand corner of the window. *Note* this must be completed on a computer or device that is connected to the school network. After the first registration is completed, then you will be able to log in from any network. 2) On the registration page, fill out the appropriate information. 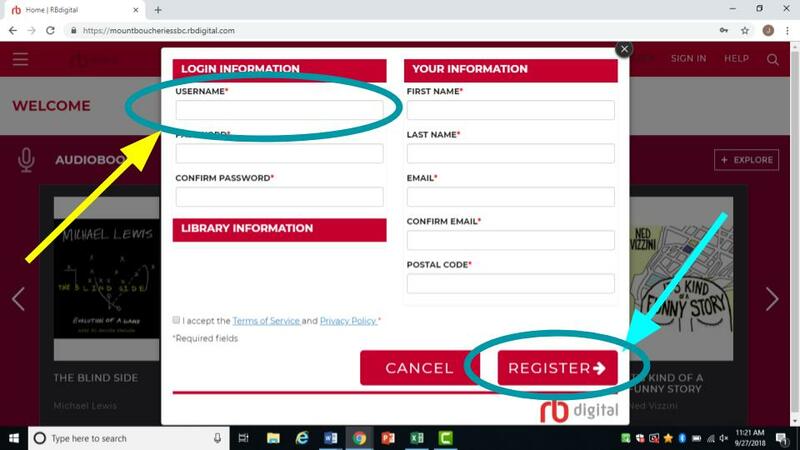 Please note the user name that you choose, as you will be using that user name to sign into the website or app after registration. 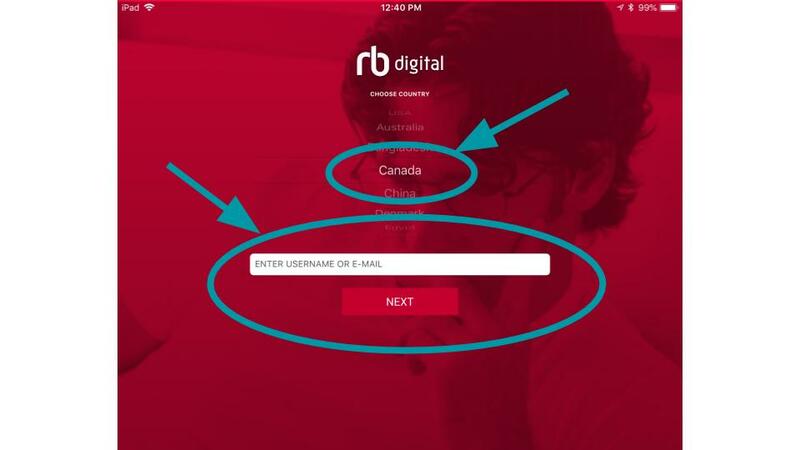 1) Select "Canada", and then type in the username that you created on the RB digital website. Click next. 2) Tap on the "checkout" button. 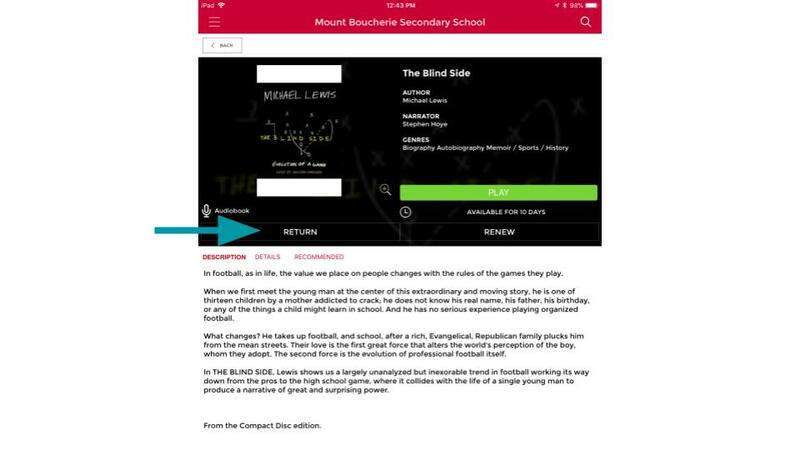 3) The app will then bring you to a screen that gives you more information about the text. To add the text to your account, tap on "checkout" again. 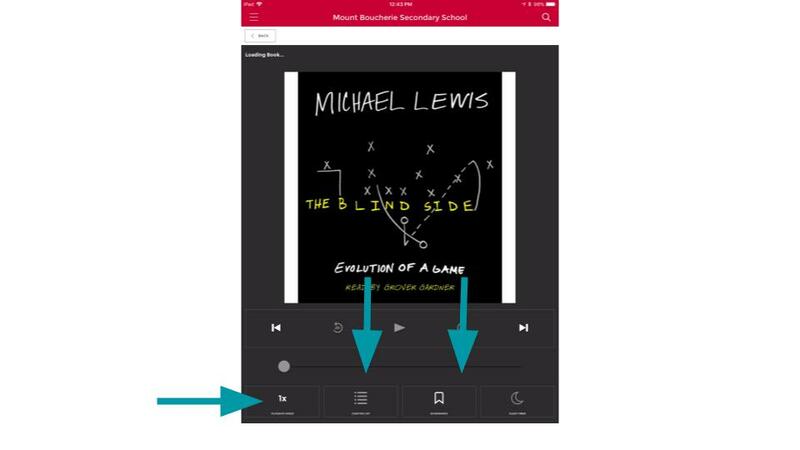 4) To begin listening to the audio book, tap on the "play" button. 5) When listening to the audio book, there are a few items to note. 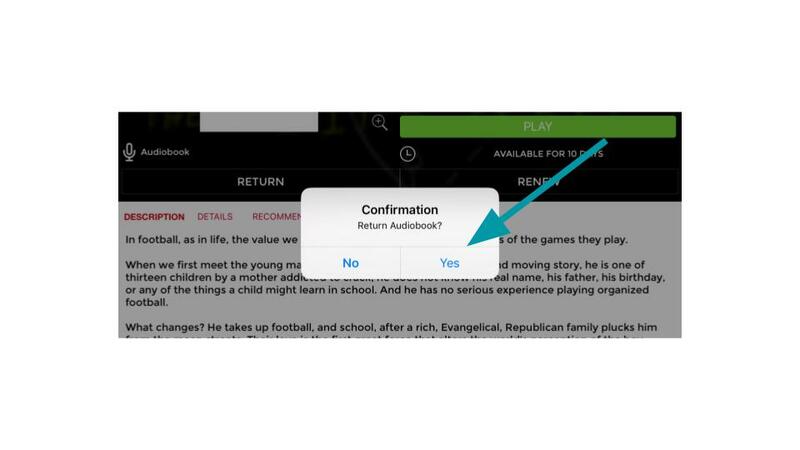 In the bottom left of the screen, there is the option to listen to the book at a different pace (up to 2x). You can also select different chapters in the book, as well as add a bookmark to where you are in the text. If you do have you return the book and sign it in again, the app will bring you back to where you left off. 6) As there are limited copies of each audio book, it is important that you return the book as soon as you are done with it, so that others may use it. To do so, tap on the return button. 7) To confirm that it is return, a pop-up will appear. Hit "yes", and it will be returned to the system.